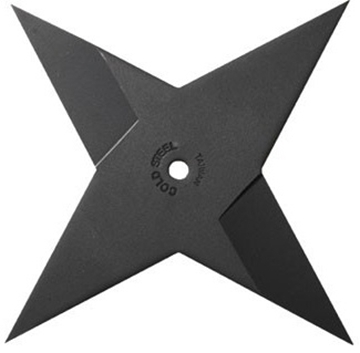 The Cold Steel Battle Star is quite possibly the largest production throwing star ever offered! Not the turtle, my friend. The Marine! Oorah! This Heavy Cold Steel throwing star is constructed from 6mm thick, laser cut 1055 carbon steel that's been heat treated to a hard spring temper before sharpening and then given a black baked-on finish. 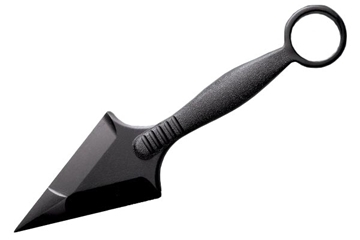 This item is fully sharpened and is sure to stick in the target every time! 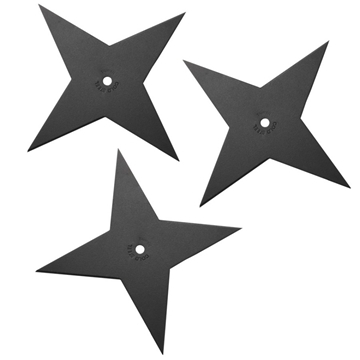 This Heavy Cold Steel throwing star set is constructed from 6mm thick, laser cut 1055 carbon steel that's been heat treated to a hard spring temper before sharpening and then given a black baked-on finish. 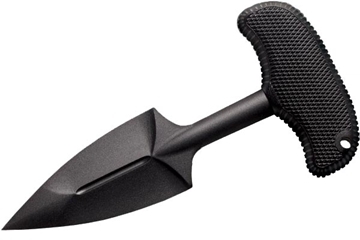 This item is fully sharpened and is sure to stick in the target every time! 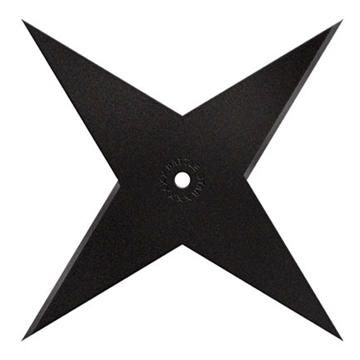 This throwing star is constructed from extra thick, laser cut 1055 carbon steel with a black baked on finish. 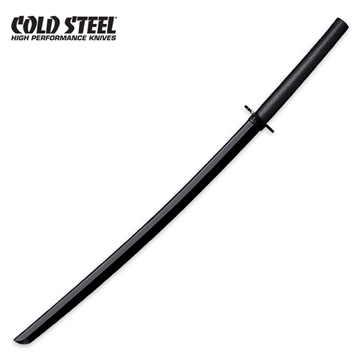 This item is fully sharpened and is sure to stick in the target every time! 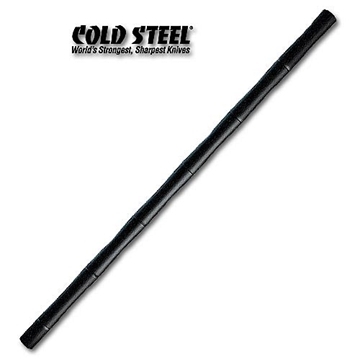 Cold Steel Light. 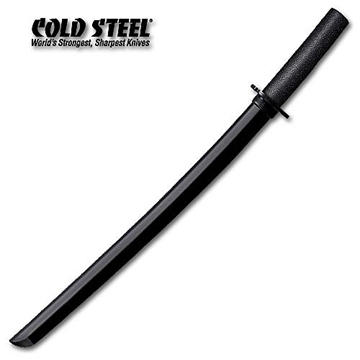 This Medium Cold Steel shuriken is constructed from 4mm thick, laser cut 1055 carbon steel with a black baked on finish. This item is fully sharpened and is sure to stick in the target every time! This Medium Cold Steel shuriken set is constructed from 4mm thick, laser cut 1055 carbon steel with a black baked on finish. This item is fully sharpened and is sure to stick in the target every time! 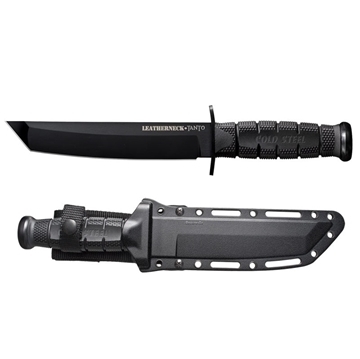 Cold Steel's best high-tech and light-weight knives. Keep one in every room of the house! Even has the segmented rattan feel!